Life is precious and is best lived when we pay attention to creating an emotionally sustainable lifestyle. We are passionately committed to providing our services in order to support individuals and teams in living emotionally sustainable lifestyles. This is also known as living resiliently. Marcia’s book Life’s 2% Solution provides a well tested strategy for living with Passionate Equilibrium – being thoroughly engaged and doing so with a sense of balance. Additionally the EQi and EQ 360 for individuals and the TESI® (Team Emotional and Social Intelligence Survey) are developed to promote emotional sustainability. The Collaborative Growth team model highlights the path for developing the seven skills measured by the TESI in the outer ring. Emotional and social well-being for teams is the result of following this path to sustainability for teams. Emotional sustainability, also referred to as well being, can be measured with assessments such as the EQi ® and the EQ 360 ®. Dr. BarOn, the original creator of the EQi has pinpointed self actualization as the apex of all the EQ skills. Bar-On, 2001, p. 92. “EI and Self-Actualization.” In Emotional Intelligence in Everyday Life, edited by J. Ciarrochi, J. Forgas, and J. Mayer. New York: Psychology Press. Frequently revisiting these eight critical factors will help you engage your EQ in a manner designed to support an emotionally sustainable lifestyle. At the team level the critical sustainability is developed by using the seven skills in the outer ring of the Collaborative Growth Team Model. These are powerful skills that can be developed at the individual and team level. 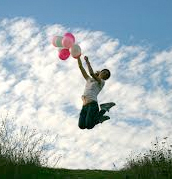 The resulting quality of life will assure you and those you influence that it is worth the effort! Joy, Anger, Disgust, Fear and Sadness interact in Inside Out, a 2015 American computer-animated comedy-drama film produced by Pixar Animation Studios and Walt Disney Pictures. The film is set in the mind of an 11 year old girl, Riley, who has been very happy until her parents uproot her as they move from Minnesota to San Francisco. She becomes unhappy in her new world without friends and her emotions go through considerable turbulence before they get it together and help her tell her parents of her troubles. Riley’s parents comfort her and a year later she has friends and a new capacity to hold emotional complexity. Go see the movie; it’s good for all ages! There’s much more to the story, which does an excellent job of showing how emotions activate our responses, work with memories and can lead us to derail or succeed. Emotions always influence our behavior and our decisions. The question is how to engage with our emotions so we are successful and the movie helps us learn more about how this process works. One key component in Inside Out is the interplay between the emotions of joy and sadness. Joy has run Riley’s emotions much of her life until the move, and then Sadness begins to have impacts. Joy seeks to prevent Sadness having an influence, but after a fairly difficult adventure they learn of the importance of these two emotions working together. While Joy and Sadness are gone on their learning journey, Fear, Anger and Disgust start guiding Riley’s behavior, which leads to starting to run away and other consequences. “What emotions run my show? What are the consequences? Personal Inquiry is an opportunity to stop and listen, to reflect, recognize and perhaps reorganize our thoughts or our behavior. It is a key part of being mindful. Mindfulness has many powerful descriptions created by those who coach or teach personal development or personal evolution. It is core to many spiritual practices and is central to many strategies for expanding emotional and social intelligence. Webster defines mindfulness as “the practice of maintaining a nonjudgmental state of heightened or complete awareness of one’s thoughts, emotions, or experiences on a moment-to-moment basis.” It’s paying attention to our thoughts, feelings, bodily sensations and the physical environment without judgment. Mindfulness can be a powerful and restful state. Stopping, breathing and being mindful provides an opportunity to gain perspective, to allow complexity of emotions to develop as they integrate, and then to peacefully choose your next response instead of being at the effect of a situation. This strategy taps into all 16 EI skills; some of the most prominent are emotional self-awareness, reality testing, impulse control, optimism and happiness. One excellent article, published by Greater Good in Action, on Inside Out, emphasizes four lessons from children from the movie. Joy worked hard to suppress Sadness in the movie and that can be dangerous the author’s point out. Joy drew a circle away from the action board and asked Sadness to just stand in it so she wouldn’t impact Riley. Emotions can be tough, but they need to be experienced in age appropriate ways. Suppressing sadness can lead to anxiety and depression. Trying to reinterpret an event so it isn’t as difficult, sometimes called cognitive reappraisal or reframing, can cause the message of the difficult emotion to be camouflaged but not eliminated – and this can be costly later on as it could lead to emotional explosion or to self-medicating to keep the emotions away. One of the best ways of managing impulse control can be to find safe ways to know how we feel and to process responses to those feelings. Then those difficult emotions are not lying in wait to jump out when we’re crossed in just the wrong way. Mindfulness, together with personal inquiry, helps us slow down and recognize the complexity of our feelings and then respond thoughtfully. 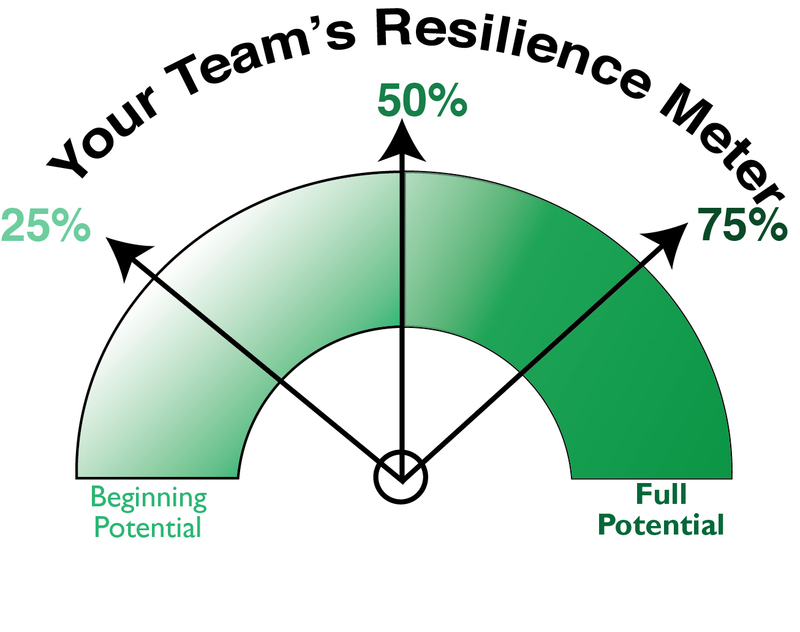 It helps us manage our Resilience Meter™ as we’ve discussed in other articles. Mindfulness practice holds many gifts including the integration of our emotions at a level that allows us to live the purpose inspired life we prefer. Positive attitudes on your team will build resilience and impact every dimension of team work. Positivity will impact how well people get along with one another, how pleased they are to be on the team, their motivation and their creative thinking. That is why this is one of the seven team competencies of the TESI® (Team Emotional and Social Intelligence Survey®). In her books Positivity and Love 2.0, Dr. Barbara Fredrickson provides the scientific grounding to prove the power of positive engagement. Probably because most of organizational work is accomplished through teams, we are finding a tremendous thirst to better understand what this means for teams and how to assist teams in growing their positive mood. Positivity is central to the ability to collaborate, which is based on the ability to work jointly with one another, to listen to different perspectives and to find common answers. Collaborative Growth’s team model demonstrates how we bring team emotional and social intelligence competencies together to create collaborative intelligence. One of the easiest team strengths to build is positive mood so take advantage of this and build your team skills. The full organization may not be aware of the challenges their teams are experiencing nor understand how they could support the team in effective change. Thus, intentional effort to build a team’s positivity and resilience is needed to get the most from your team. Art Aron, a human relations scientist, conducted research that shows how people move from a sense of separation – me and you – to a sense of being together – us or we. His research was done with couples, but the same principles apply to teams, which are a group of people working together to solve problems. The more overlap the individual team members see between each other, the more likely they will have a sense of “us” and that leads to a series of positive results. In turn, this increased connection leads to helpful responses among team members that build trust as team members learn they can rely on considerate and supportive responses from one another. Most people will say they agree with the maxim that “All of us are smarter than one of us.” Understanding the effects of positive mood helps show us how to act that way, not just say it. Fredrickson writes that positivity broadens one’s view from “me” to “us” and then to “all of us,” not just the part of the group that looks or thinks like you. Thus building positive attitudes within your team will expand the effectiveness of your diversity efforts. We often talk about emotions being highly contagious and that is so for positivity, just like it is for negativity. This makes it important for team leaders as well as all team members to be intentionally positive. Fredrickson explains that “positivity spreads because people unconsciously mimic emotional gestures and facial expressions of those around you … positivity breeds helpful, compassionate acts.” Furthermore, she points out that when we act positively with others we are likely proud of our engagement and “pride broadens your mindset by igniting your visions about other and larger ways in which you might be helpful.” (Positivity, pp. 69-70) This is a goal all organizations have for their teams. Resilience and positive mood are closely connected. Resilience includes the ability to bounce back and relies on teams having a reserve to tap into when big challenges hit. That reserve is built by how team members treat each other and what they expect of one another. The more positive members of a team are, the deeper the reserve and the less often they are likely to need to tap into it. Positivity builds perspective so teams take challenges in stride rather than making them a big deal that expands stress instead of resilience. Build the habit of finding people doing something well and publicly thank them. This can be implemented by the team leader as well team members. Start team meetings with a discussion of something that has worked well recently. Then the team can move to strategic analysis and can proactively cross map that skill that success reflects to other requirements. Social connections are at the heart of team success so take time for building connections – and emphasize it even more if you have a virtual team. Do something fun together, have a pot luck lunch, and start meetings with going around the team and asking everyone to comment on something particularly interesting or important to them. Find purposefulness in the team work so the team feels the sense of being a part of something bigger than itself. A traditional way to do this is with Mission, Vision and Values statements. Make sure those statements are meaningful and that the team feels ownership and pride or they won’t help. Support team members in taking time to be relaxed with each other so the connections are built resulting in the natural desire to get one another’s back when needed. Respond to comments made by one another. People want to be heard more than they want to be right. Applying skills such as active listening and empathetic responses will help people feel acknowledged and valued and that builds positivity and engagement. Recognize that positivity and trust go hand in hand as positivity supports deepening relationships. Develop positivity deliberately and expansively for the benefit of all individuals, teams and the organization.